When we heard about the semi-secret cookies baked by secluded nuns in Madrid, Spain, naturally we had to seek out these mythical treats. Here's what we found. There's a legend about cookies that you can hear spoken of in hushed tones on the streets of Madrid. These aren't your normal store-bought cookies. No, these highly sought-after treats are baked from ancient recipes dating back to the time of the Romans (so they say), and they're made exclusively by nuns who avoid being seen by the general public. This last fact makes them somewhat difficult to track down. 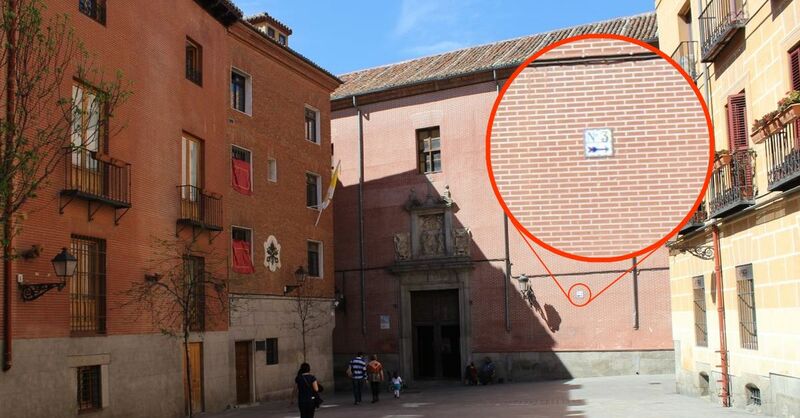 But since we love a good challenge (and good cookies), we couldn't resist undertaking the search to find out how to score some of these secret cookies baked by cloistered Spanish nuns. 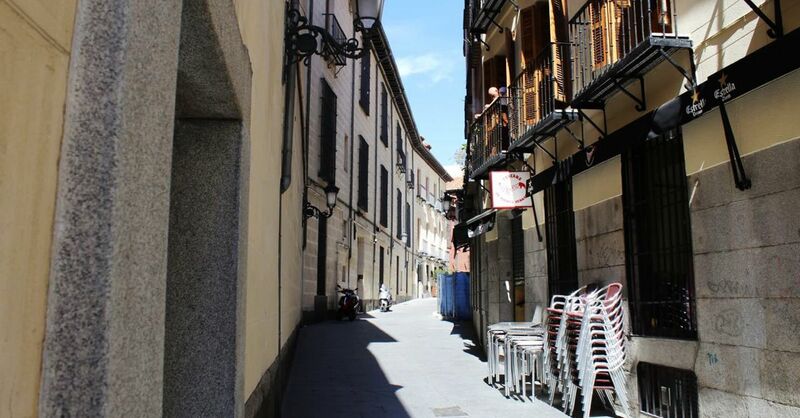 It all started during a Sandeman's New Madrid free walking tour. Early on in the tour, our guide, Naomi (who was quite excellent), stopped at a narrow street near Botín (the oldest restaurant in the world, dating back to 1725) and told us that just down this very road, one could buy cookies from nuns who remained hidden safely behind the walls of a Spanish monastery. There was a collective gasp from our fellow attendees as we all realized she was talking about the nun cookies. We quickly logged the latitude and longitude so we could find this starting point again and continued on our tour. 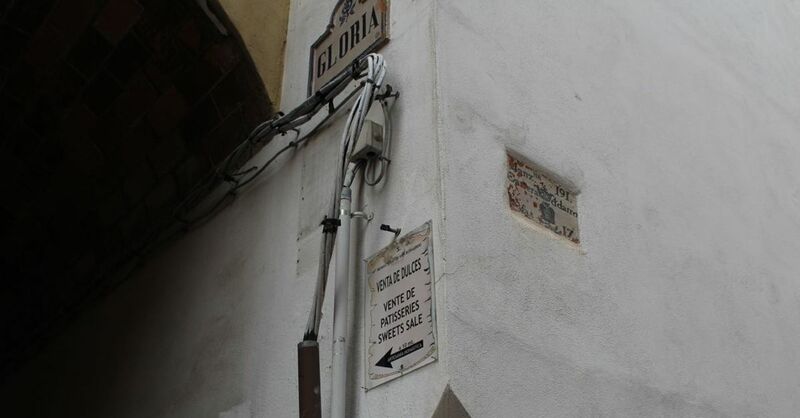 And that's how, on the following day, we ended up walking along this narrow street looking for anything that might even remotely look like a clandestine nun bakery. Eventually, the street opened up into a plaza (there are a lot of plazas in Madrid), at the end of which sat the Monastery of Corpus Christi. The presence of a monastery certainly seemed promising, but we hadn't seen anything that looked like a bakery or a shop. We weren't quite sure what to do next. Should we take a look down one of the side streets? Or maybe we missed it. Should we go back and look again? And that's when we saw the tile with "No. 3" and an arrow pointing to the left on the wall about three meters off the ground. On a street where there were no signs, this seemed like it could be something, so we followed it. A few steps later, we came to one of those huge doors that had a smaller door set inside of it, a common feature of Spanish church doors. 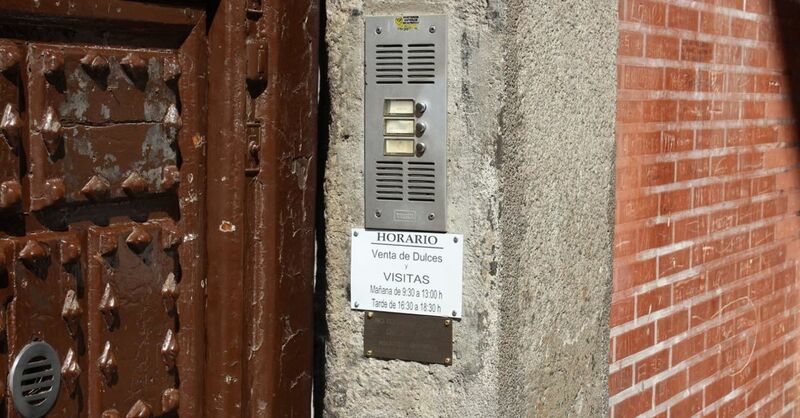 Next to the door, below a standard-looking buzzer, was a small sign that read "Horario: Venta de Dulces." I knew enough Spanish to know that this gave us the hours for the sale of sweets. We'd found the place! However, according to the sign, the nuns closed down for siesta at 1:00 p.m.—and that was only five minutes away. We had to hurry! We pressed the button and waited. Nothing happened. We waited some more. Still nothing happened. We thought about pressing the button again, but there's a feeling you get when contacting cloistered nuns to buy cookies that makes you wary of irritating the nuns. We feared we were too late and had just started to turn away when a small but boisterous tour group erupted out of the tiny inset door. We looked at each other, shrugged, and jumped through the door the group had exited. 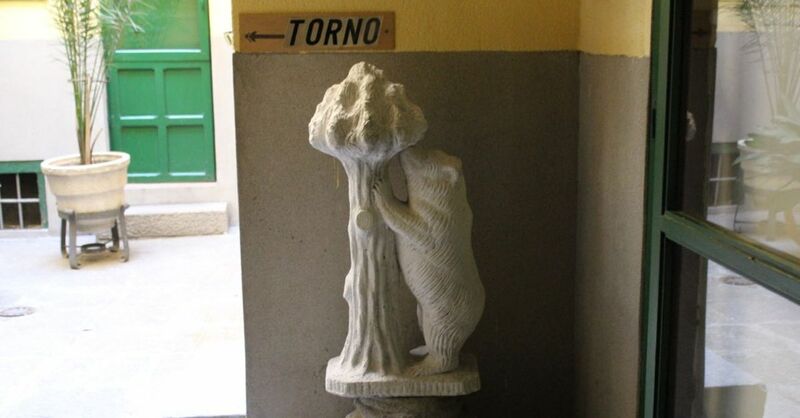 We walked down the hall until we got to a small statue of a bear eating from a strawberry tree (El oso y el madroño, the symbol of the city of Madrid), above which was a sign with an arrow pointing to the left and the word torno. We followed the arrow and passed through a small courtyard before reaching the end of the hallway where we found a window with a three-chambered lazy susan. This was the torno indicated by the sign we'd seen, and it looked like a small revolving door, but with brown-painted wood instead of glass. Taped to the wall on the right side of the torno was a price list. We'd made it ... now all we had to do was figure out how to order our cookies. There were no fewer than eight varieties listed on the wall-mounted price list, and each was available in one kilogram or half-kilogram packages. We decided on a small box of the Naranjines (they were on the top of the list) and pressed the buzzer for service, again hoping we weren't too late. After a tense moment, we heard a distant door close and then footsteps approaching from the other side of the window. "Si?" a feminine amplified voice asked. I dusted off my best Spanish (which isn't very good) and said, "Queremos comprar los dulces." Silence. So I added, "Naranjines, por favor." More silence. So I tacked on, "Quienientos grams?" "No," said the amplified voice. I asked for a few other flavors, and each time the answer was a definitive no. But we weren't picky, and she hadn't said they were totally out of cookies, so finally I asked "Qué tienes?" There was no answer, but the lazy susan spun around until a smallish white box appeared. My daughters quickly grabbed it while my wife and I stood there quietly celebratory (the place seemed to demand silence of its patrons) and a little giddy. We now owned a box of nun cookies. We'd done it! We looked more closely at our hard-fought box of cookies. They were Montecadoes de Yema which seemed to be a type of shortbread cookie. As we each took a turn inspecting our little box, the torno rotated again and we saw a one euro coin sitting there—our change. After we got back outside, right after we did a little victory dance, we opened the box and peeked at our cookies. They were thin and squarish and covered in powdered sugar. We managed to exert some willpower and wait until we were back in our hostel room before sampling them. The powdered sugar made them a little messy, but they were delicious and didn't last very long. Now Madrid isn't the only city where the nuns bake cookies. For many monasteries and convents, baking and selling such cookies is one of the only ways for the nuns to earn income. And after our success in Madrid, we were hooked on the thrill of finding (and eating) nun cookies. So as we visited other cities on our mini-tour of Spain, we remained on the lookout for rumors or signs of nuns selling dulces. And our diligence paid off. 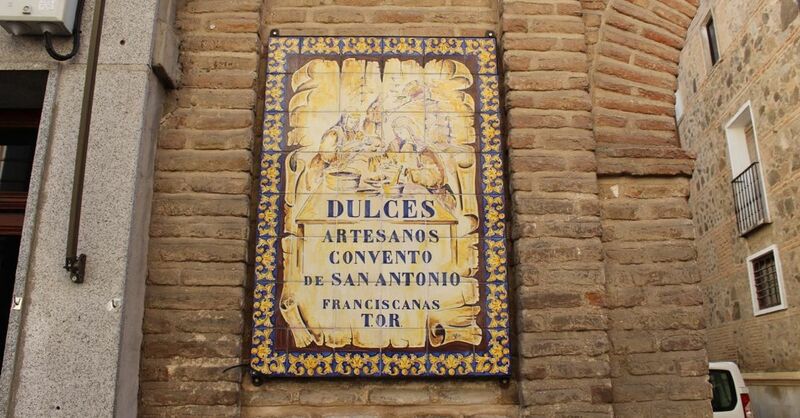 We found nuns who baked cookies in Toledo, Granada, and Barcelona. But, finding and buying the cookies from the nuns in those cities was much less intense than our experience in Madrid. 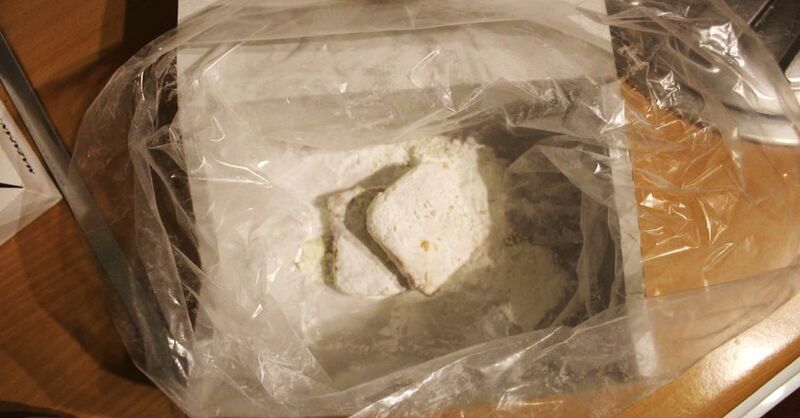 In Toledo, the nuns sold cookies of mazapan from a shop that was staffed by ladies who weren't cloistered. 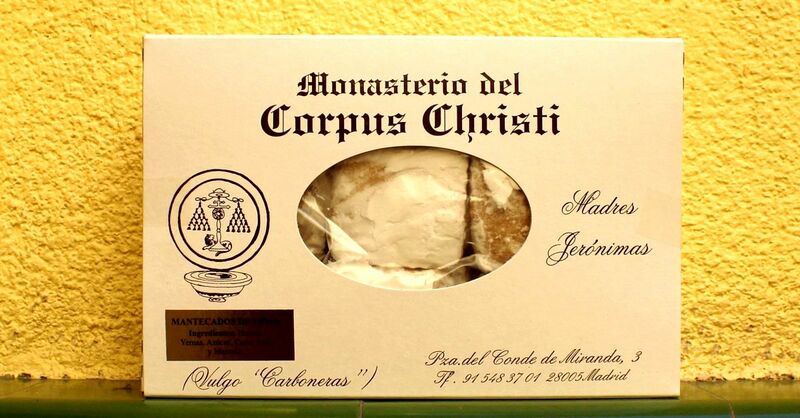 And in Granada, the nuns sold their cookies in a mixed variety pack that turned out to be our favorite nun cookies. 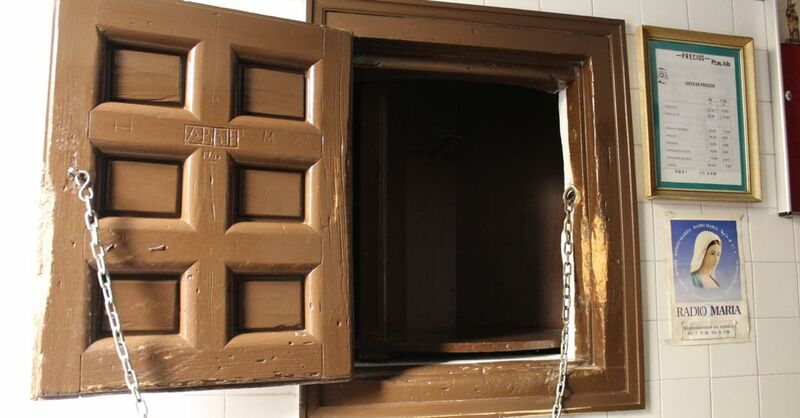 Also in Granada, the nun behind the lazy susan peeked out to take our order, which was quite a surprise. Then in Barcelona, we stumbled across Caelum, a café located somewhere in the narrow streets behind the Cathedral of Barcelona, that sold many different types of cookies from different monasteries and convents in the city. There are a lot of things we're going to miss about Spain, but nun cookies are high on that list—and not only because finding out where they're sold is always an exciting adventure. They're pretty tasty, too.